$25 to spend at Posh Designs Scrapbook Store!! 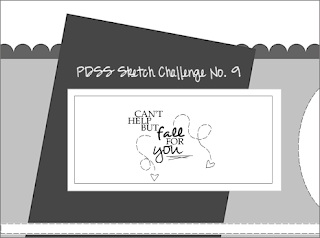 Just a quick reminder that you still have 4 days to get a card entered in the sketch challenge at Posh Designs Scrapbook Store. There's a $25 gift certificate so spend at the store for one lucky winner so be sure to get your card linked on the blog. No card today as DH and I have been painting the kitchen...all day and we're still not finished!! Whose idea was this anyway...?? I'm the guilty one...it was a pretty Martha Stewart green called "Fen"...don't ask me what Fen is...I have no idea. At any rate, I was tired of it so painted it a Benjamin Moore color called Muslin. Loving this color with the black accents in my kitchen. Kuddos to my sweet DH who just came home from a week long meeting yesterday and spent his only day off this week with a roller in his hands. I think he's a keeper.